Sigh. How is it that I was busy all day and I got a lot done, but I made no progress? Ugh! 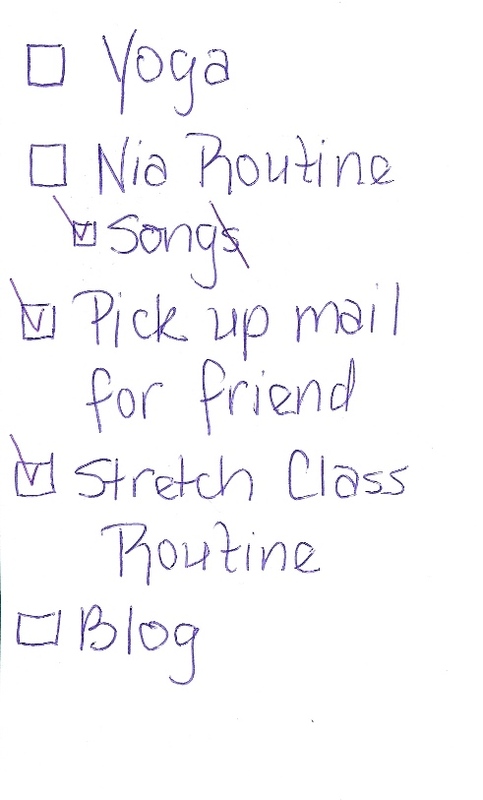 I totally failed on my to-do (for today) list. You may have read somewhere on my blog that we have two cats. You may have read somewhere on my blog that we had ONE cat. It took me over a year to even think about getting another cat. Notice I said CAT. So when I finally got to a point where I was entertaining the idea of getting A CAT . . . it was really hard to be faced with the idea of getting TWO. The one I wanted came as a pair. Now, I still would opt for ONE cat as opposed to two, but that will not happen because there is no way we would get rid of either one. Although, I am still learning about two cats. It is not easy having two cats. I had always heard that cats did not like change, that cats liked to have the same thing to eat – all the time. But lately I hear they get bored and want something else. So when our “big” cat doesn’t bother me for dinner, then when I put it out she barely touches it, I think she is bored. So then I spend hours on the internet trying to find a food. Because I am picky. I prefer grain free and limited ingredients and you may have read somewhere on my blog that our last cat did not like fish. So, I have never researched any cat food with fish until these two. They like fish. Once I find something I will feed them on the internet, I used to buy it, but now I have to go find it at a store because I would rather buy a CAN as opposed to a case (and only cases can be purchased on the internet). Because apparently only ONE kind of food with fish will do, so I don’t want to buy a whole case and be stuck with it. The little one will eat different kinds, but it seems the “big” one likes ONE kind. Even though she may seem bored she won’t eat anything else. Sigh. Today I was trying to put together a Valentine’s Day routine for my Nia class tomorrow after spending a bit of time looking for new food for the cats. Then I give it to them and the picky one does not like it and spends the next two hours telling me about her dissatisfaction. Poor girl. It is sad because if it were the little one, I probably would have opened another cat food. But since it was the one who could stand to lose a pound, I just look at her and say, “You have dry food if you don’t want to eat your wet food. Sorry, Girl.” Man, why did I bother? Didn’t get as far as I’d have like on the routine and I felt as if I wasted my time. Cats are crazy. But really, it is probably humans that are crazy to try to live with such amazing creatures. 🙂 So will you tell me about feeding two cats? What do you feed your cats? And how do you get one to slim down but not the other? What are your feeding practices? Do your cats tell you when it is time to feed them? I know this is a lot of questions, but, I want to know these things. When I get home at noon on Wednesday it seems like the day goes by really quick. I am working on my Nia routine for class the next day. 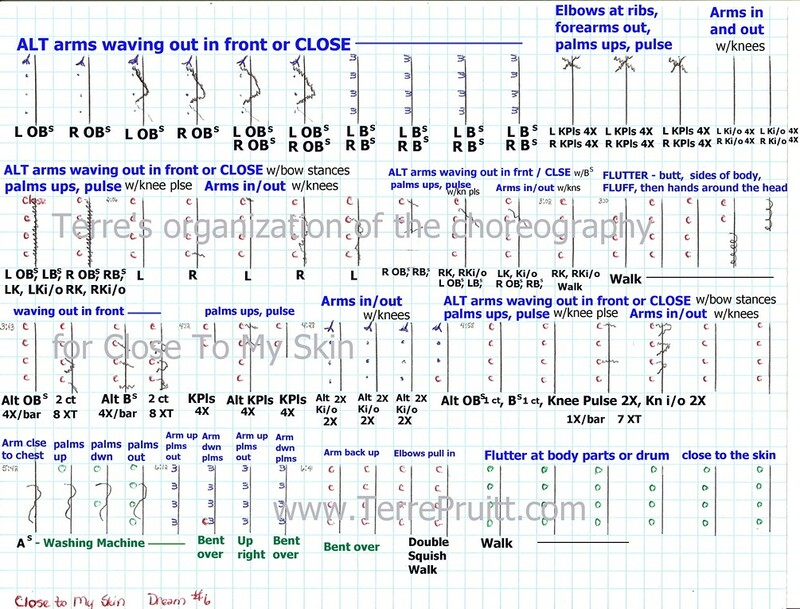 I am working on the stretch routine for class the next day. I might have to put together something for yoga for the class the next day. Plus I have a blog post I would like to write. So I just don’t have a lot of time to think about dinner. Well, tonight was one of those nights. I hadn’t even really thought about a blog post during the day. And I was making up dinner as I was cooking it. I really didn’t know what I was doing. Cooking the steak we have is always an adventure. 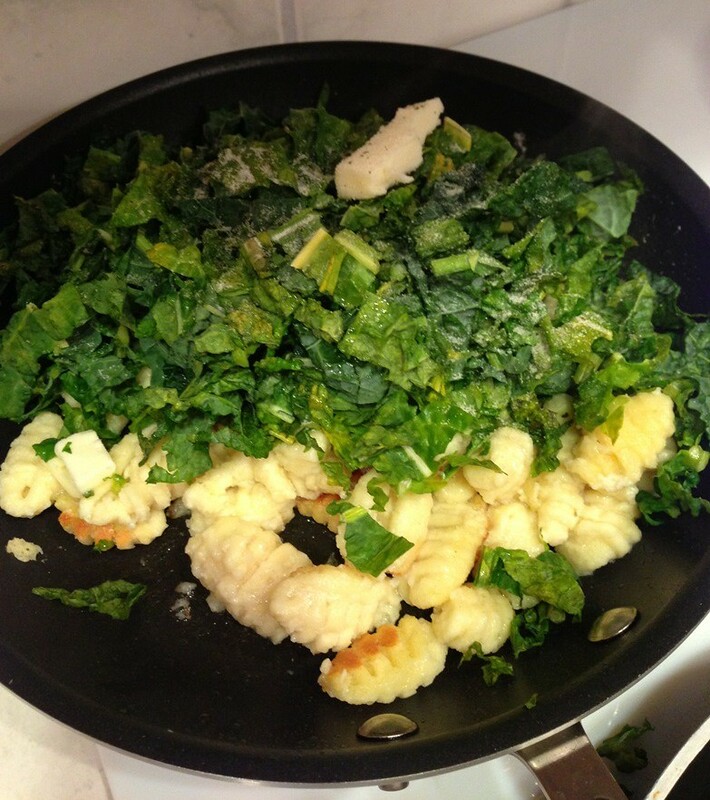 I hadn’t really thought about a blog post as I was flying by the seat of my pants as I cooked dinner. At the last minute I thought well this might work and I snapped a couple of pictures. I didn’t really know how I was going to cook the meat or gnocchi. I had taken out two packages of meat. I thought each one was a steak, but it turned out each one was two cuts of meat. Yay. Now, we have dinner for tomorrow, well at least the meat part. I always try to have some gnocchi in the freezer, I thought it would go well with the steak. But I wanted it different – normally I just boil it. I thought after I boiled it I could pan fry it, to give it that crispy brown. My friend taught me that. I have a friend who used to make . . . now I don’t even remember what type of gnocchi was . . . I think it was butternut squash gnocchi. Perhaps it was sweet potato. I didn’t even like gnocchi until she gave it to me. She apologize when she gave it to me because “it didn’t turn out right” and she recommended pan frying it. I thought, “Ok, whatever.” It wasn’t potato gnocchi so I thought it must be better cooked differently. Turns out ALL gnocchi is better cooked that way. But her gnocchi was THE BEST. It was sooooooo yummy. 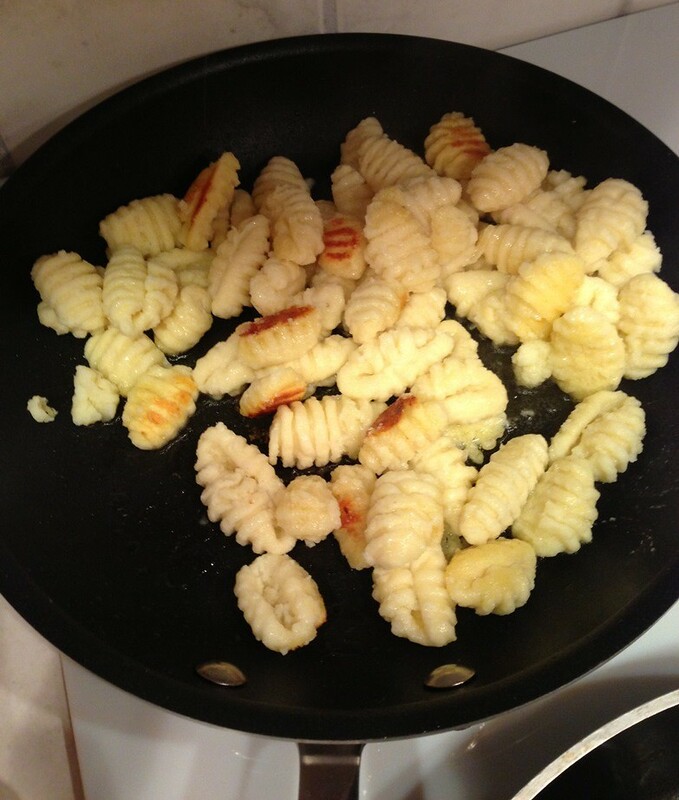 Most gnocchi has to be boiled first and then it can be pan fried. Well, that is the way I like it best. With a little bit of browning on it. I had never done such a large batch before and some of it broke up and got a little mushy, but then the mush browned so I was ok with that. I threw in some kale and it rounded off our steak great. Do you like potato gnocchi? Do you like it boiled? Have you ever tried browning it? If you have ever taken a moment to look at the list of the Fifty-Two Nia Moves you might have wondered what the “Power Finger Crossover” is. You probably figured out it has something to do with fingers as the name contains “finger” but perhaps that is as far as you had gotten. You may have thought, “What is crossed over what?” Well, the middle finger is considered the power finger in Nia. It has a lot of power. In some cultures it is considered a finger of communication ;-). In Nia it is also called the balance finger. With the power finger crossover in the 52 Nia Moves it can be used at many different times during a Nia routine. 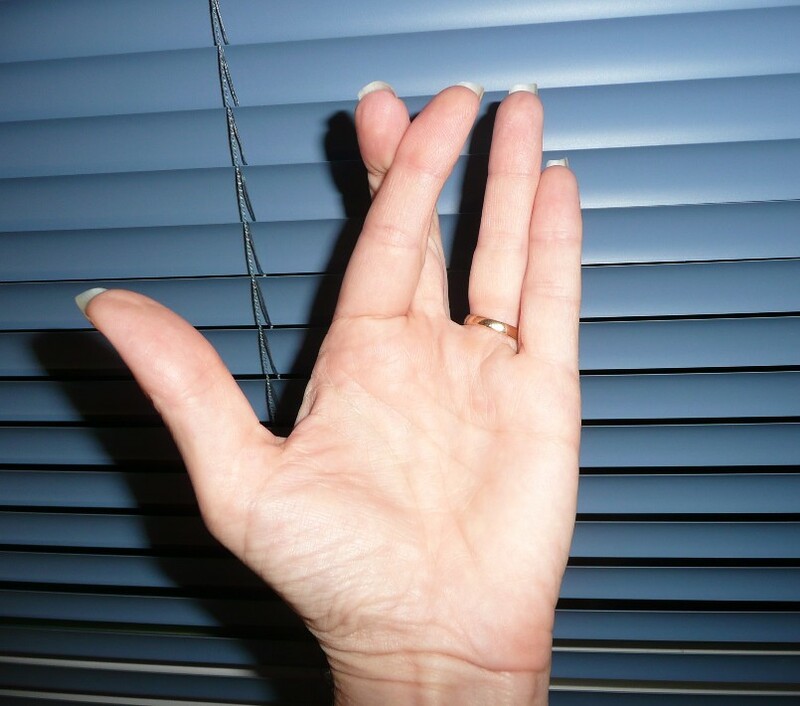 First: how to – the way you do the power finger is to cross the middle finger, the power finger over the index finger. Then you release the index finger and cross the power finger over the ring finger. The arms remain long and extended. The cross of the fingers is small. Use both hands, doing the crossover at the same time on both hands. I can do the middle finger crossed over the index finger on both hands. I can do the middle finger crossed over the ring finger on the left hand with out help. But I have to use my left hand to cross my right middle finger over my right ring finger. As you can imagine it takes a little strength and dexterity to cross the fingers over each other unaided. It is obvious to me I need to practice more. 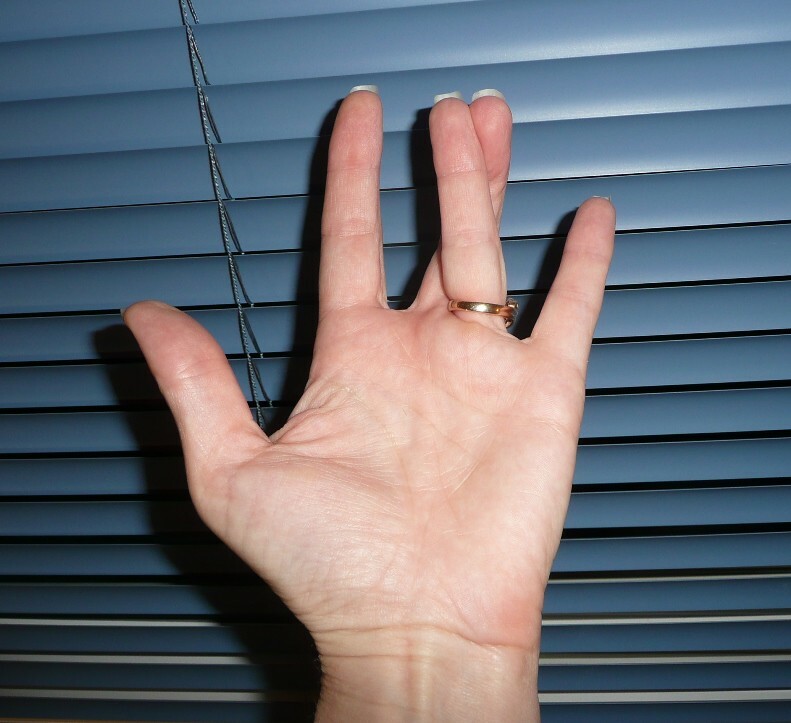 There is a routine in which we cross the ring finger over the pinky finger and for the longest time I could do it on my left hand, but had to help my right hand out. But now I can cross both ring fingers over both pinky fingers without help. So it really is just a matter of practice. If you can do the crossing without helping great! But if you can’t, it is fine to help your fingers until you can do it without the help of the other hand. The fingers still get the benefit of flexibility. And your brain gets the benefit of your digits being crossed. And as I said it helps strengthen the hands/fingers and brings dexterity to them. 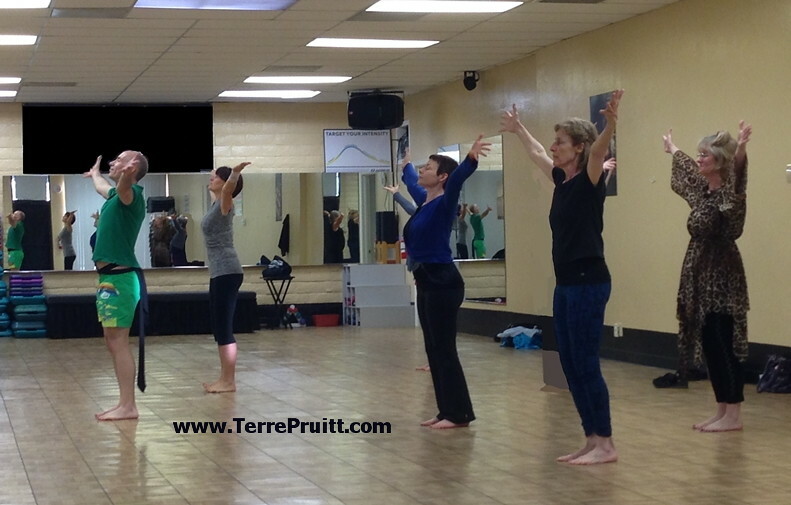 This move is part of the moves of the upper extremities and is grouped under “Fingers”. It can be done in combination with many of The Fifty-Two Nia Moves and during many of the Nia Routines. It can be done at almost anytime in a Nia class. During FreeDance or as part of a routine. It can also be practiced throughout your day. So did you try it? Can you do it? Can you do it on both hands without the help of the other hand? I know I have said that if you are trying an exercise class go at least three times before you decide you don’t like it. Have you seen me say that before? I think that in order for you to decide you honestly don’t like it you need to try it at least three times. I think there are enough factors in a group exercise class that you have to experience it more than once to make an educated decision. I also think that sometimes what you want is not what you need, so you might want to step out into the unknown. As I said there are many reasons not to like a class, if you think it is the instructor, don’t condemn the whole modality. If you go to a Jazzercise class and the instructor runs around the room shouting encouragement at individuals and that is not your style, try a different teacher. 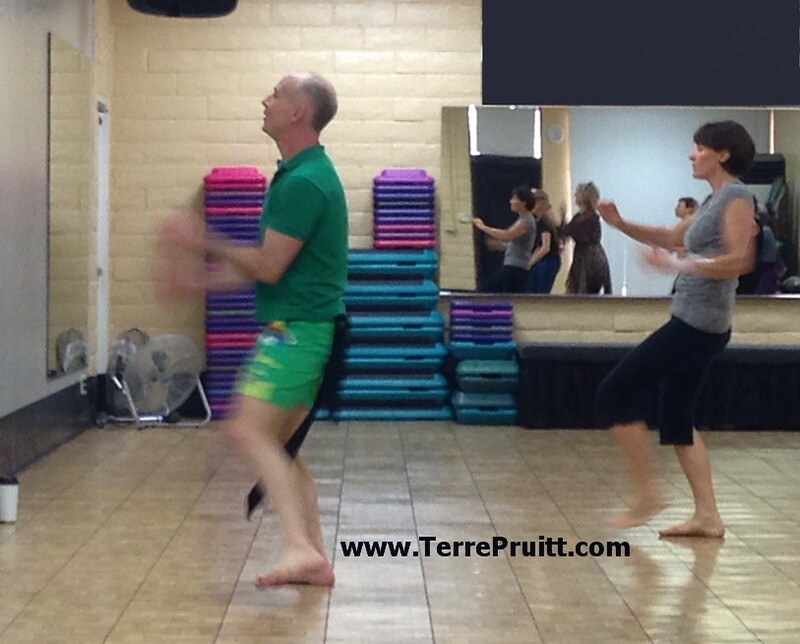 If the Zumba teacher only plays one type of music instead of sticking to the Zumba formula, try a different teacher . . . but it doesn’t seem fair to you nor Zumba if you claim you don’t like Zumba. If you can, it is really nice to give that instructor another chance, but time is short and so sometimes that might not be the answer. Every teacher has her own style and it might not be one you like, but that doesn’t necessarily mean you don’t like the exercise. Also keep in mind that you are only seeing one routine, and those change. If you go to a Nia class and think you don’t like it, try it again because the routines can be vastly different. It is good to check out the different routines. Also, find an appropriate class for your level. 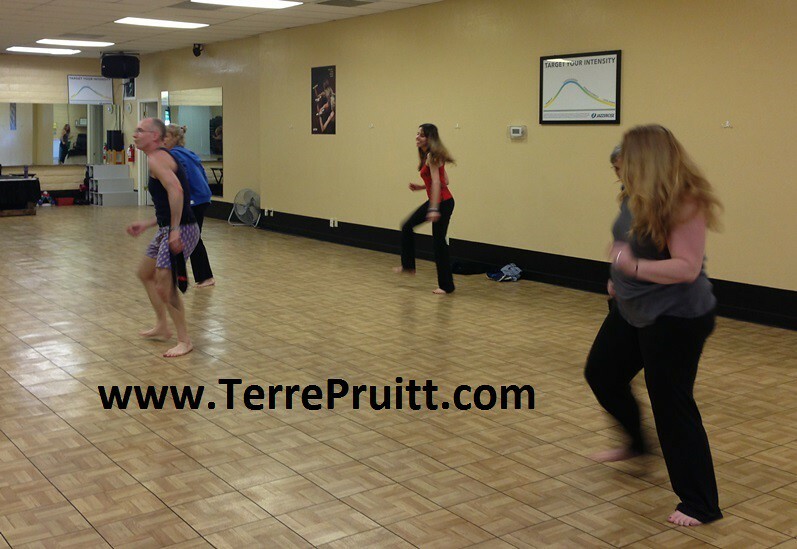 If you take a circuit training class and it is too difficult try a different one or talk to the teacher. There are so many different types of yoga and yoga is only regulated when it is trade-marked and there are licenses to teach otherwise yoga class definitions vary. Classes with the same names can vary greatly. I am not saying to go to a class that is way beyond your level, but I am suggesting to try something you may not have normally thought of doing. As I said, you might end up getting what you really need when you don’t go after what you want. What type of yoga do you normally do? What classes have your tried? So even though he was here in March and we did the same routine he did it a little different. While he traveled throughout the United States he adjusted it. 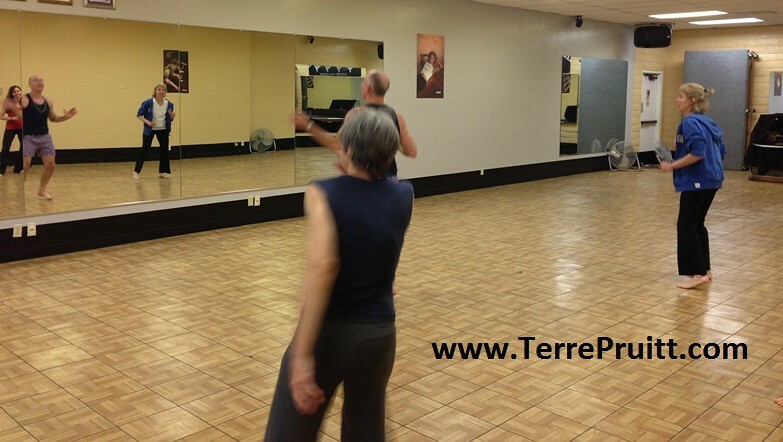 Plus sometimes part of what a Nia Teacher does while teaching is adjust moves or what we say to encourage different movement. The move was not only new to me but it was so funny I had to laugh while I was doing it. It was a Cat Stance Tail Wag with Jazz Hands. Now, if you know what that is get up and do it. It is hilarious. You don’t even need music to get a giggle out of it. I am sure part of my laughter came from the fact that we were doing other things leading up to or right after the move that doing it was almost a joke because there was just so much going on! Some of you may need a reminder: a cat stance is balancing on one leg while the other leg is up, a tail wag is when you wag your tail (I like to do it with a release in my spine), and Jazz Hands are your fingers spread wide. Yeah. Ha, ha, ha. Try it! Loved it. I can’t remember what was before or after, but I know the whole thing was very funny. We had a small group, but we had a great time. My supportive husband even joined us. Jason is always fun and we always learn something. I think I will just have to keep inviting him back until you come and see for yourself. Doing something new is such a great way to stimulate the brain and with that the nervous system. Doing something new and having it be physical is a way to stimilate the brain, nervous stystem, and the whole entire body. Jason had us doing all kinds of stimulating things. It was very fun. Does your exercise class stimulate your brain? Do you do knew things? I think that with our busy life styles and the fact that there are multiple ways to communicate and multiple devices that which can draw our attention we might feel very forgetful at times. But really how can we forget what we never really (REALLY) paid attention to? Sometimes I am on autopilot . . . my muscles can do things while I am not even paying much attention to the task. While I am brushing my teeth I might be thinking about what I am going to wear. While I am gathering my clothes, I could be thinking about the next task. While I am getting dressed I could be thinking about the Nia routine I am going to teach. I grab my phone and put it in my purse while I am thinking about something else. Then I step outside and wonder, “Do I have my phone?” Then I blame it on my memory. I FORGOT I grabbed it and stuck it in my purse. But I don’t always believe it is memory, I think it is more that I wasn’t paying attention to the fact that I put my phone in my purse. I really believe that so much multi-tasking makes us believe we have bad memories. Or the fact that we have so much on our minds already, makes us think we have bad memories. But whatever the case, I know that I don’t mind doing things thought to help our brains remember. There is advice out there on ways to improve your memory or prevent memory loss. 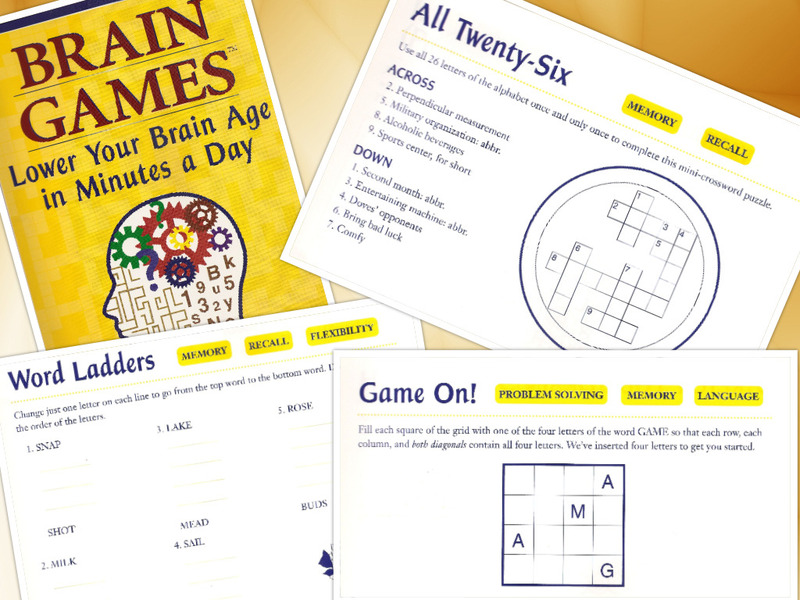 1-Stimulate your brain and memory by staying mentally active. Reading, doing brain puzzles, driving a different route to a familiar place, or learning how to play a musical instrument are ways to keep that brain active. The idea would not necessarily be for you to play a concert or a recital, but the act of learning keeps that brain stimulated. 2-Being social not only helps your brain, but it can help stave off depression and stress. If you are lucky enough to be social with close friends then it is a huge benefit to your well-being. 3-Being organized is a great way to help keep the “I forget everything” feeling at bay. If you have a calendar to keep track of appointments and social events that helps you stay on track. Also if yourliving space is organized you won’t find yourself misplacing things. Certain things you use often or need on your way out should have a place; keys and wallet, for example. If you always put them in one spot you won’t wonder where they are when you are about to walk out the door. Being organized can also help you focus as you will not be wondering around looking for your keys you will know exactly where they are and be able to be aware. 4-Getting enough good quality sleep. I believe sleep is good for so many things. This is the time that our body gets to rest from the go-go-go of the day. It is also a time where our mind, emotions, and self get to rest. We are bombarded all day long with so many things . . . it is nice to let our bodies rest. 5-Eating healthy food. Our bodies need nutrients to run properly so a healthy diet will help our brain function. 6-Exercising is also thought to help keep memory loss at bay. This is due to the fact that exercise helps so many systems. If your body is healthy this could contribute to a healthy brain/memory. If the physical activity you do is something that requires skill, then you are putting your brain to work and that could be a double whammy. If the exercise you do is something that you really like, then that could contribute to your mental well-being and that could be one way that exercise helps. As you probably know, the brain is still a large mystery. Science learns more everyday, but the cause of memory loss and diseases like Alzheimer’s are still unknown. So they come up with a list of things we can do that they think might help. And Yup, heard them before, right? But . . . how many of them do you do? Do you think that these things can perhaps help your memory? The current Nia routine I am trying to learn is taking me a long time. I have mentioned before that I feel it takes me a long time to learn a routine, but this one seems even longer. The first thing I do is listen to the music. I had been doing so for a couple of weeks, then I got busy for a couple of days and hadn’t turned it on. When I went to the album in my iTunes I was shocked to see I had never listened past the sixth song. In fact, at that point I had never made it through the entire sixth song (that is how annoying it is). So I realized I needed to watch the Nia Training DVD. 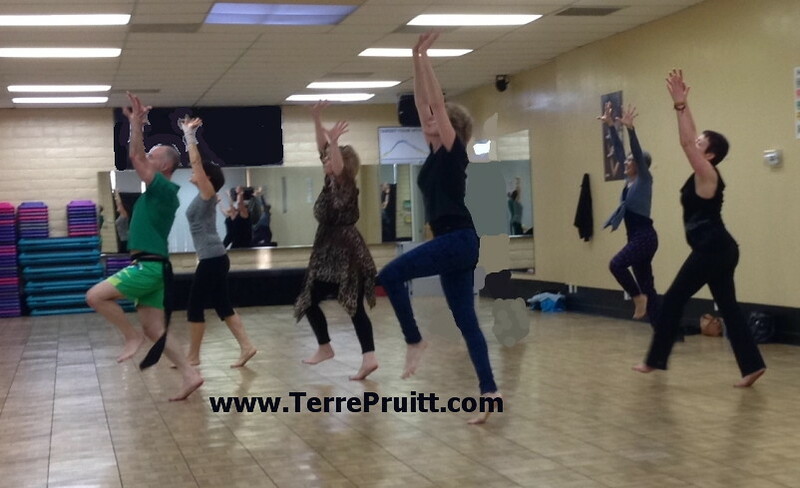 Watching the choreography usually helps me get through a song that I don’t like because it gives me points of reference. But this workout is filmed where the teacher and class are FACING the camera. I don’t like this since I primarily teach with my back towards the class. Back to the class really helps people copy the moves because they don’t have the whole “mirroring” issue to resolve. When I am trying to learn a routine and the people on the DVD are facing me, I don’t care for it. I do it as mirror, they are using their left foot and I am using my right, so I go right when they say “Go left”. All trainers sometimes state the opposite side or direction, but when they are actually USING the left, but I am mirroring them, it confuses my brain. In addition to the camera angle challenge (for me) this particular song is said to be a different version than they thought they were getting. So the choreography appears to be being created as the routine is being filmed. So it is very loose. I often feel that Debbie Rosas, in her brilliance, has so many ideas about choreography for one song that she sometimes shares them all during the filming and there ends up being a lot of moves in one song. I am grateful that the belts I have taken thus far have emphasized “less is more” and we have permission to pick a couple of moves from the song on the DVD and do them to the song. So that is what I did with one of the songs. I picked a few of the moves she did and organized them into something I can learn. I will work on learning it this way. Although I will need a lot of practice because the song tends to mesmerize me and I lose my place. Hopefully as I grow more familiar with the moves and music I can play with it as the Debbie did. Since I don’t watch the DVDs that are filmed with the class facing front as many times as I watch the other ones I need to have a map I can follow from the get go. That is also the case for me when the song is very long and repetitive. I need to have a pattern, even then I can get lost in a song like this. And as I mentioned — just listening to it, trying to learn the song itself is not something I have been able to do. Every time I turn it on to learn it, half way through I am so annoyed by it, I turn it off. But moving to it is another thing. That is why when I don’t like a song, I look to the choreography because often times when the choreography makes sense it allows me to get through the song. More often than not I end up liking the song. We will see what happens with this song. It is like a dripping faucet. Except for the class and the trainer facing the camera and the song titles not being shown as each song begins, the Nia training material continues to be stellar. At the end of 2014, Nia HQ put out the new Routines. I had ordered three earlier in the year, I just received the fourth one. I am going to add the titles in with the AWESOME software I have on trial. I have to do it before my 30 days is up. Then I will continue learning the routine I am working on. I will debut it to my class soon. 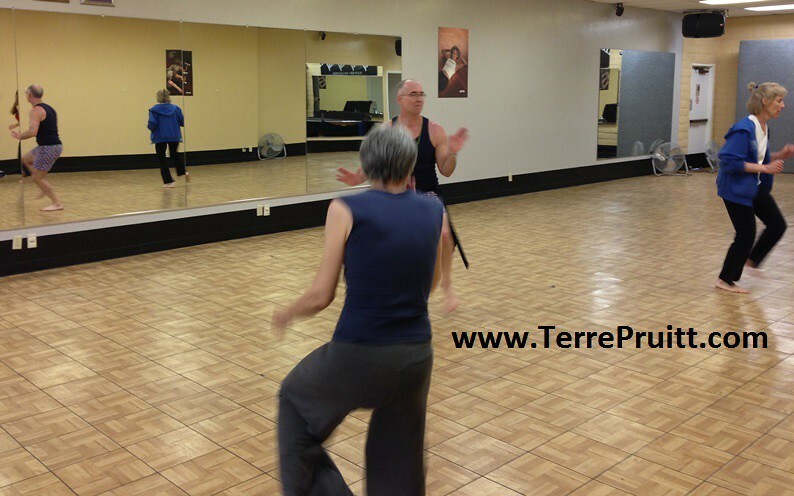 When you take group exercise classes do you like the instructor to face you? Have you ever noticed how a lot of songs are very repetitive? 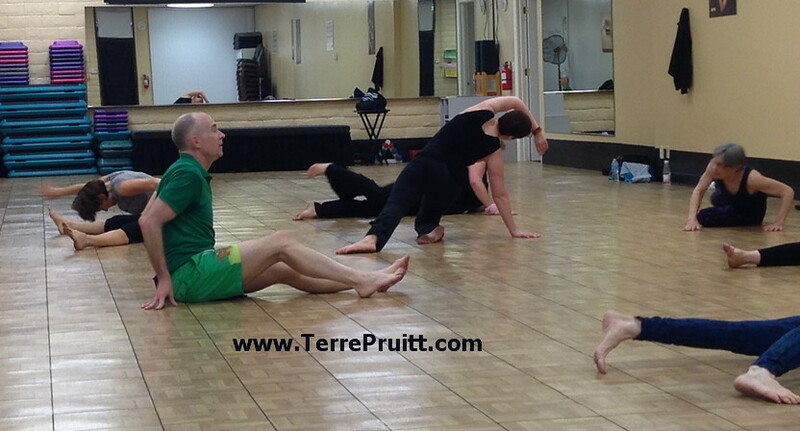 Last night we had a visiting Nia teacher come to Campbell and present a routine that he has created. Jason Alan Griffin is a First Degree Nia Black Belt and he created a routine he calls Frankie Say Nia. He travels around to different places with his dog River and he brings Nia with him. 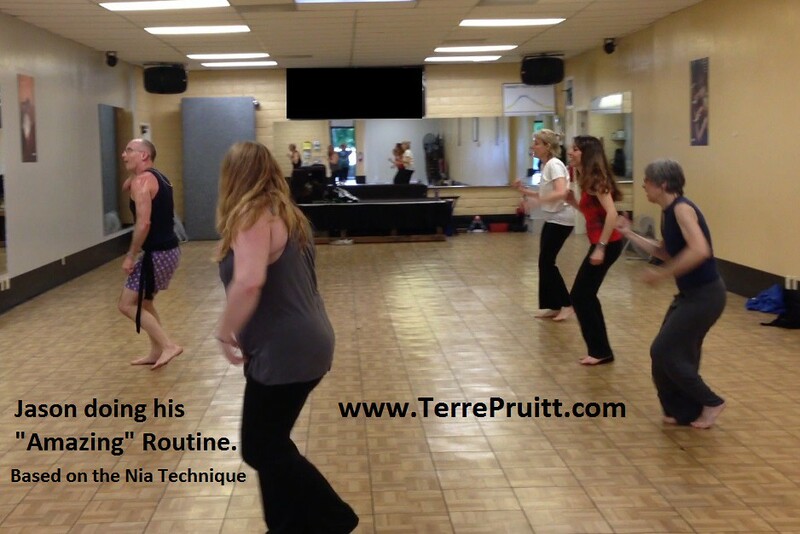 He has routines he has created and playshops. 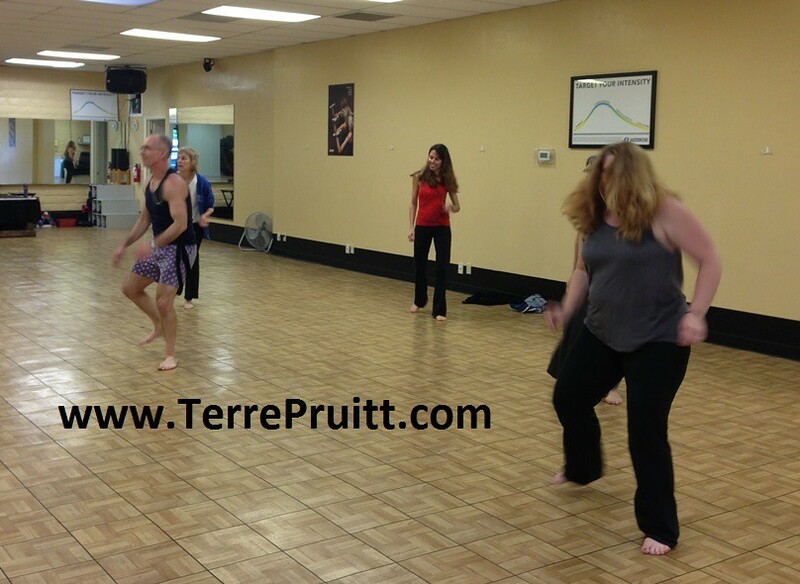 Friday night was the Nia class where he did his 80’s Alternative New Wave music routine. People were invited to dress in 80’s style – bright clothes, animal prints, whatever they think of as 80’s fashion. It is difficult – for me – to think of dressing up at the same times as wearing clothes I can workout and move comfortably in. Jason was wearing shorts that reminded me of Saint Patrick’s Day and I was wearing animal print with my hair up in a silly pony. That was as far as I was able to take my dressing up. I’ll have to check with Jason about the shorts. I forgot to ask him about them today. The dressing up and the clothes were not what makes it fun or 80’s, it was the music. Jason had us dancing to many familiar tunes. I was happy to hear all of them that I knew. I knew all of them until we arrived at the Floorplay portion of the Nia class and then I was just mystified. I kept thinking I would eventually recognize it, but it was out of my scope of knowledge. And I don’t even remember what it was. I believe there was mention of a bar. It was odd to me. And, later it was indicated that I had a look on my face (odd) matching what I was thinking. As I said, I kept waiting to hear something that would spark some sort of little hint that I had ever heard the song before, but nothing came. 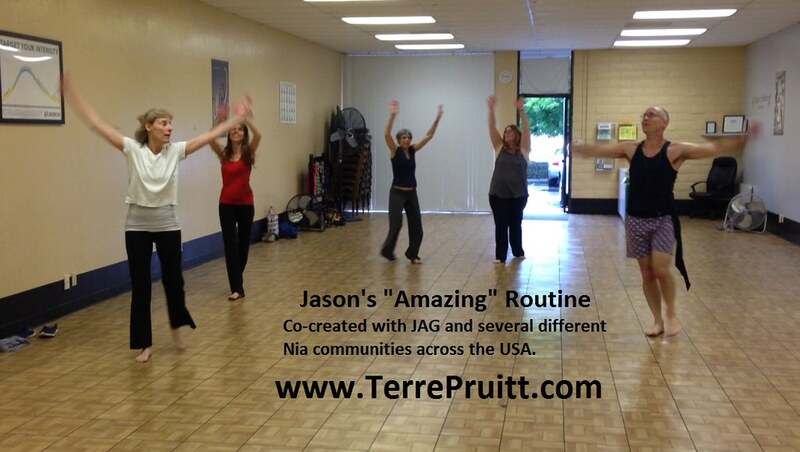 Jason’s playfulness and ability to match movements to music is so evident in his routines. And they are just fun. I can say that we all had a great time because every commented on having one! His choreography and the music made for a great time. I was very happy that he had some FreeDances in the routine because I was looking forward to gleaning some tools from them as he taught. And I did. Then the next day he took it to the next level with the FreeDance Playshop. That has to be a post all of its own. Perhaps more than one. We will see. I am still processing. As I have recommended before to you, Dear Readers, if Jason comes to your town you should go to his class. 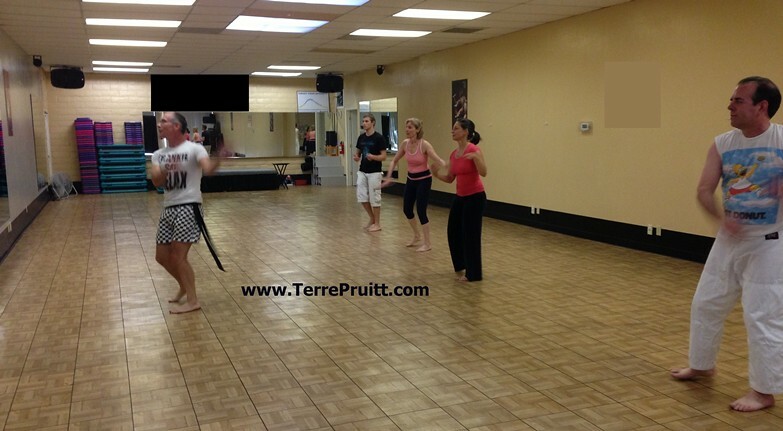 That is, if you like to have a great time while you are getting your dance workout in. You can always check out his schedule on his blog. I have included some pictures. As I have said before, it is not easy to get pictures of moving bodies. I had help from my hubby. 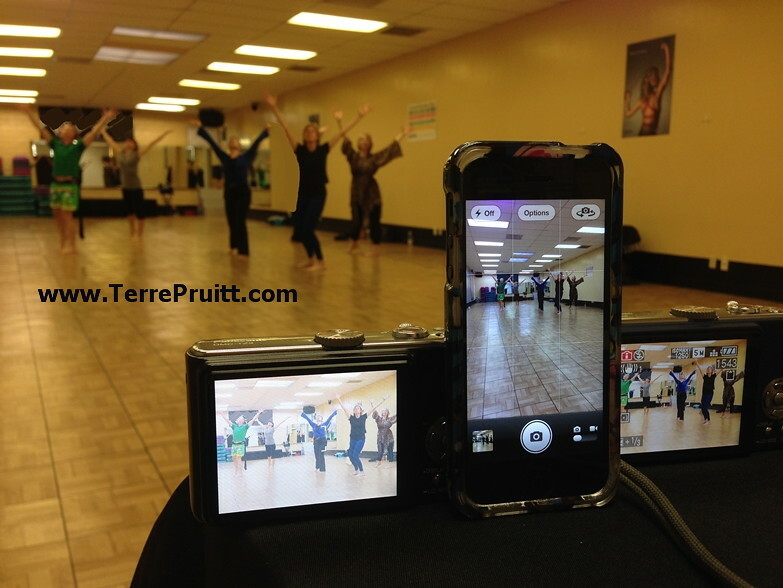 We had at least three devices taking pictures and videos. Can you tell from the pictures that we are having a good time? I hope one day we will be able to dance together!